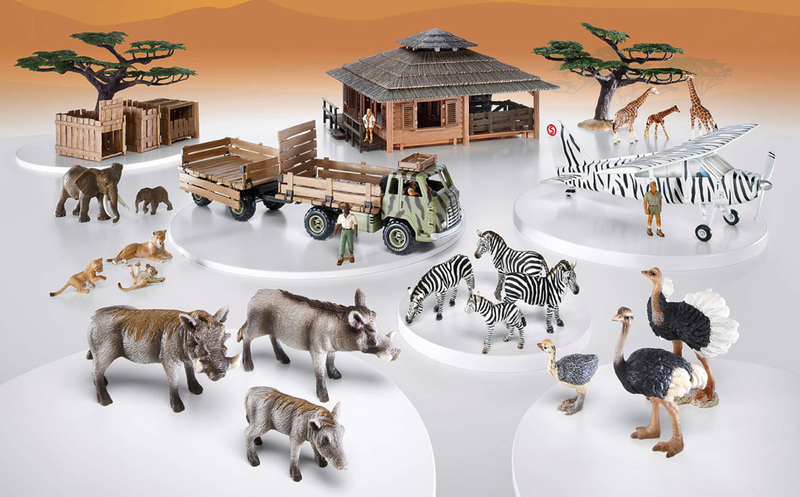 Founded in 1935, Schleich has been producing high-quality detailed plastic figurines and accessories for the past 75 years. 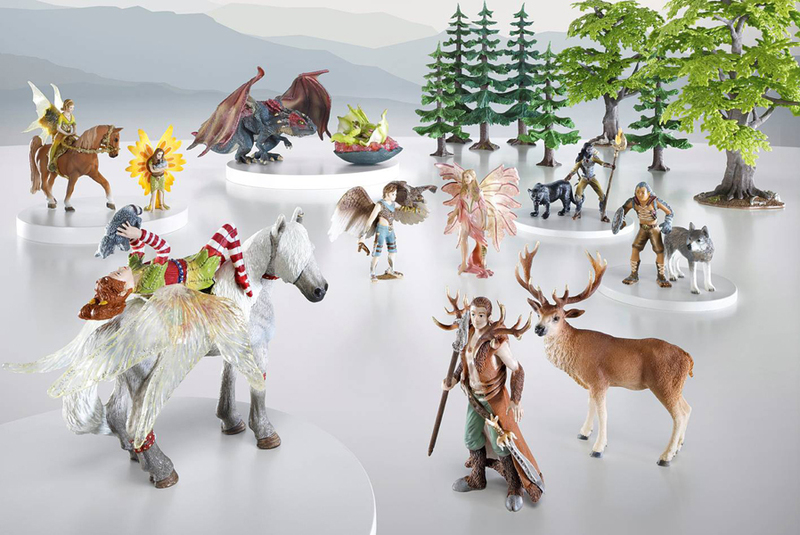 We carry the full product range of all 3 Schleich product lines: World of Nature, World of History, and the World of Fantasy. The World of Nature is made up of Farm Life and Wild Life. 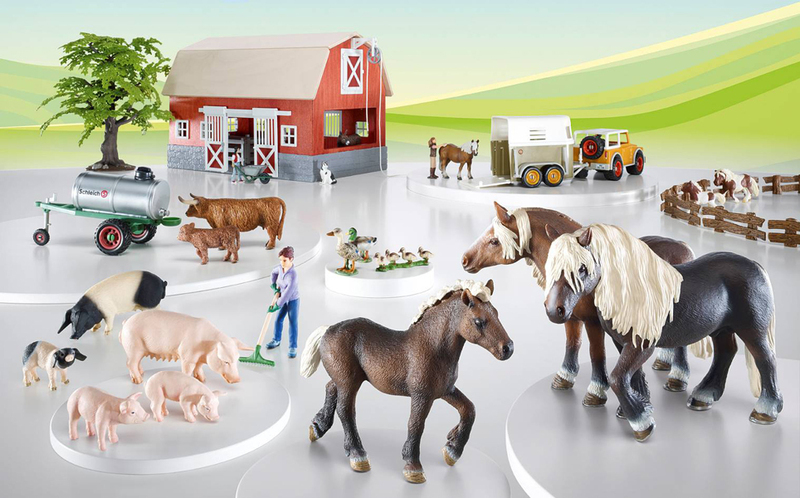 Farm Life includes farm life animals, horse riding sets, little pets, vehicles, buildings, horses, dogs, people, accessories, plants, trees, and scenery packs. Wild Life includes animals from Africa, Arctic, Antarctica, America, Ocean, Europe, Asia, and Australia. Accessories, vehicles, people, buildings, plants, and trees are also available. 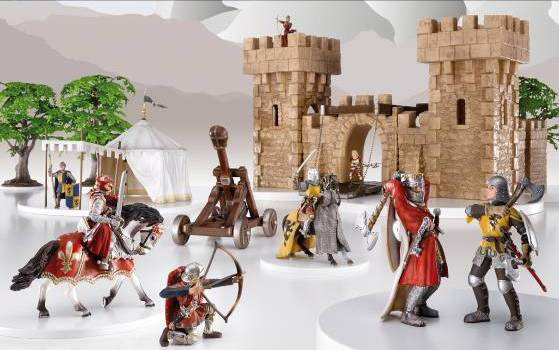 The World of History is made up of Prehistoric Animals (dinosaurs & mammals), The World of Knights (people, buildings, tents, accessories, & dragons), and New Heroes (ninjas, Spartans, Romans, African warriors, warriors from the north, & accessories). 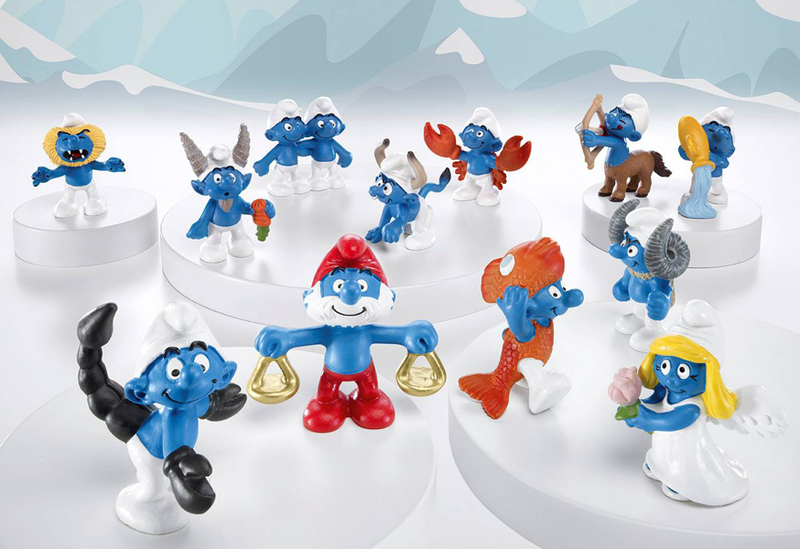 The World of Fantasy has two lines: Bayala & The Smurfs. 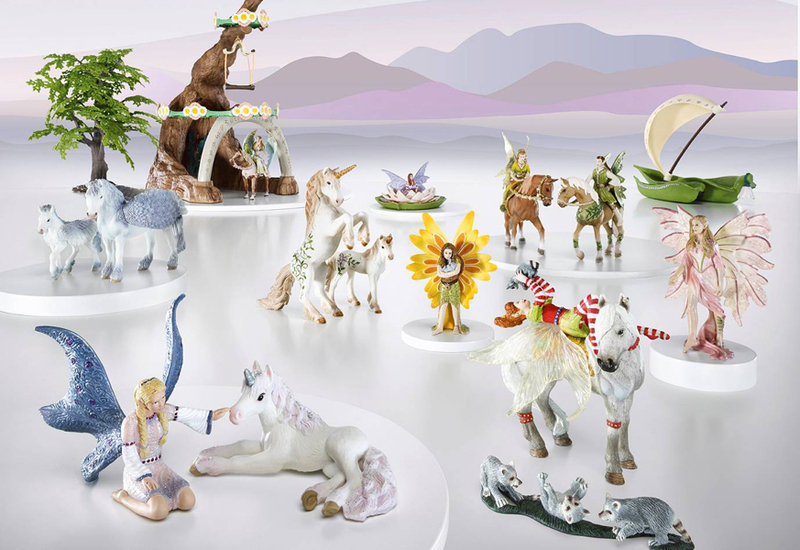 Bayala is a fantasy line of good and evil elves and fairies. 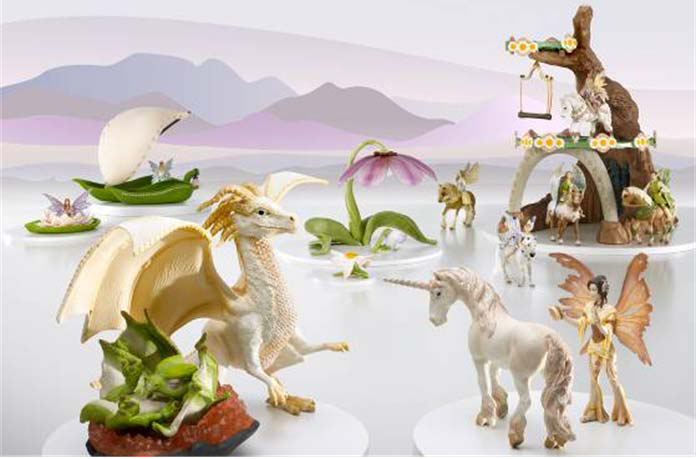 There are also figurines of unicorns, dragons, and Pegasus, as well as a wide selection of vehicles, buildings, and accessories. 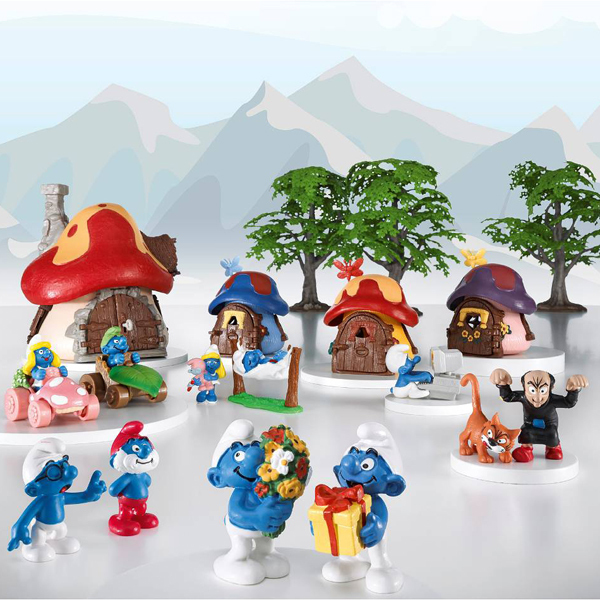 The Smurfs line contains figurines, cottages, vehicles, accessories, and sets based on the classic Smurfs as well as the Smurfs movie.